As we build our capacity, HH would like to keep everyone in the loop with progress of the organization, opportunities to serve, and relationships that have developed. If you are interested in receiving the HH newsletter please sign up! You will receive an automatic email letting you know your information was received. 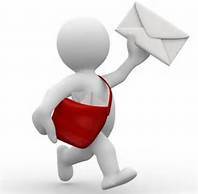 Newsletters will be sent periodically as stories develop with growth of the organization. ​If you have an amazing story of service in health care or have been influenced by HH in any way, please submit your story for consideration in our newsletter.